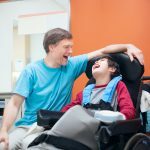 Does California Law Give an Employee the Right to Be Accommodated to Assist Someone who is Disabled? WRONGFUL TERMINATION – If discrimination was a substantial motivating factor in terminating an employee, does the employee have a claim for wrongful termination in violation of public policy – if the employer can prove it would have made the same termination decision for lawful reasons? If a Lawsuit is Settled with a Monetary Settlement to the Plaintiff, who Pays the Plaintiff’s Costs Incurred in the Lawsuit? Must an employer have ill will against an employee to be liable for disability discrimination?